Remember one rule content is the king if your blog doesn’t have new and unique posts then forget about earnings unique blogs will help you in successful approval for AdSense as well as it will increase your traffic too. This is another page where you put your contact information which is also important in your AdSense approval it is not necessary to write you’re all contact information but at least your email should be noted there. In this page, you’re writing a little bit about yourself your profession and while you start this blog, it will help AdSense team to identify who you are and how much you are serious about blogging. 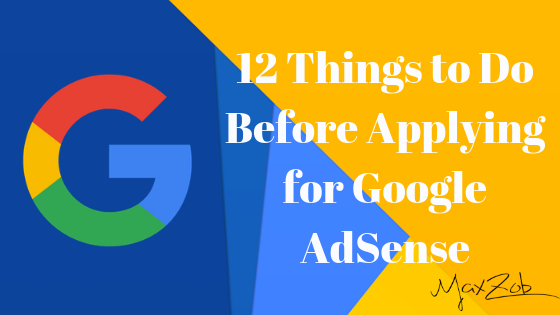 Always use your real name and date of birth when applying for AdSense, this is the very important step for those who under 18. Usually, newbies only focus on the attractive design of blog so it’s recommended to use attractive professional and clean template for your blog. Say no to traffic exchange site, of course, many users use traffic increase your site’s to increase their page hits but it is against AdSense policies. I think you don’t want to wait for six months for your AdSense account with your subdomain. Get your own custom domain like maxzob.com believe me, it will make Google AdSense approval easier and faster.